BBC restrictions back in the 60’s birthed some amazing pop music moments. Due to union rules at the time, the UK’s number one network had to take to showing a certain number of music acts live and forgo pre-recorded stuff. 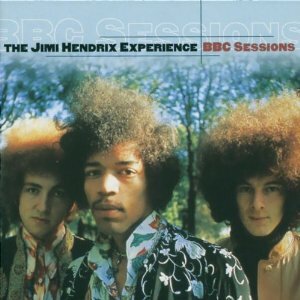 It’s for this reason that The Jimi Hendrix Experience BBC Sessions exists at all and why I am so lucky to get this spectacular 3-disc set in my greedy little hands. The last few tunes are taken from the Experience’s infamous spot on the Lulu T.V. special, when the band launched straight into Cream’s “Sunshine Of Your Love” as the show ended. The DVD tells all these great stories and more with some good footage and even an interview with dear sweet departed Noel who, along with Mitch and Jimi, has long since departed these shores for a Spanish Castle In The Sky.